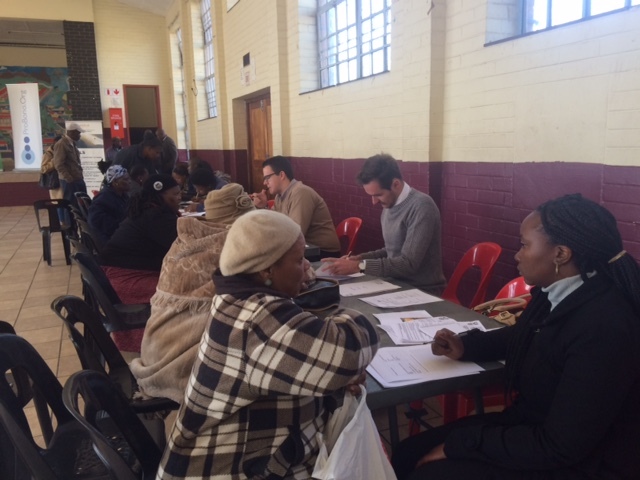 The Ward 79 Councillor in Phiri Soweto identified a need for an information session for the community regarding the reporting of deceased estates and evictions. We partnered with the University of Johannesburg Law Clinic, Sheriff’s Board and the Master’s office Johannesburg. 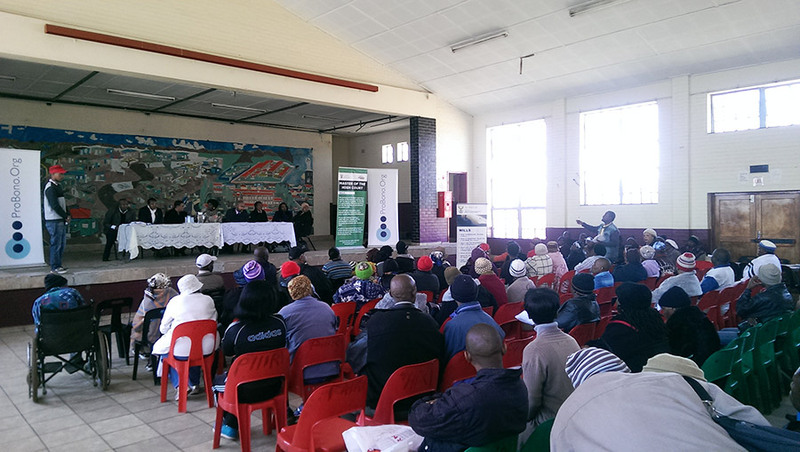 The main objective of this workshop was to educate the members of the Phiri community about the processes around the administration of deceased estates and eviction and also to identify members of the community who have been victims of the illegal sale of their properties. After the Ward Councillor had welcomed the participants, the first speaker, Mr Mpande from the Master’s office, explained the processes of reporting deceased estates where immovable property is involved and the difference between an intestate and testate estate. He explained the problems encountered as a result of people submitting false information and the effects this has on the process of administration. Mr Mpande impressed the importance of understanding estate planning, especially when there is immovable property involved. The next speaker was Mr Elton Hart, an attorney at the UJ Law clinic, Soweto Campus. He explained the processes of eviction, how the orders are obtained and the general problem in the community of people not acting when they have been served with court papers. He explained that in some instances people only become aware that the order has been granted when they receive notification from the Sheriff’s office. It is absolutely vital that they seek advice on any document that they receive that comes from the court or an attorney’s office. The next speaker was Mr Tayoob from the Sheriff’s Board , accompanied by the Sheriff Soweto West and the Regional Director Sheriff’s service, Department of Justice. He stated that in many cases where the sheriff is coming to evict, they get resistance from the community and the community leaders, more specifically from an organisation called SANCO. He explained that in many instances people are arrested for obstructing the sheriff in conducting his duties after having been given wrong advice by the said leaders. He stressed that community leaders should not mislead the public and they should always ensure that they refer community members to the relevant offices where they will receive appropriate guidance on how to proceed with their matters. Ms Emily Dhlamini, the Regional Director: Sheriff’s Services, Department of Justice then addressed the community on the discourse that exists between the community and the Sheriff’s office. She undertook to ensure that community structures are given training to enable them to better service the community and to work in conjunction with the legal structures and not prevent or obstruct lawful actions from taking place. Arrangements for this will be taken up with the Ward councillor. After the session, members of the public had the opportunity to make direct contact with the speakers and intake sheets were completed for members of the public that believed that they had cases.